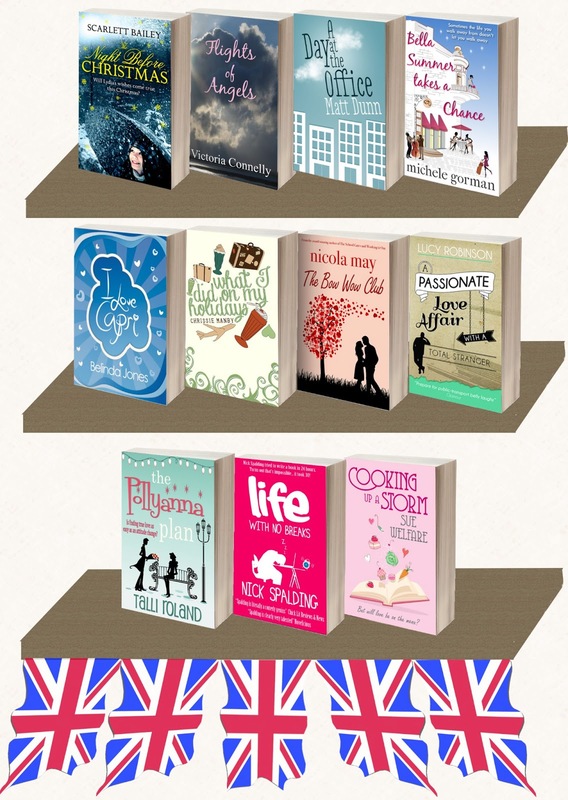 Fans of British chick lit & romantic comedy: Win a haul of books just in time for your summer holidays from some of the UK's best-loved and best-selling authors! Kick off your summer reading by buying any TWO eBooks listed here between now and June 13th. Click the "Share This Item" button on the Amazon Thank You page after purchase to tweet/facebook about each book (if you use Facebook and/or twitter). Enter to win by posting a comment over on the Notting Hill Press Facebook page telling us which two eBooks you bought. If you don’t use Facebook, you can enter the competition by adding your comment here instead. Winners will be chosen randomly from all the comments on June 14th and posted in both places. Best of luck from all the Notting Hill Press authors, and don’t forget to check back on the Notting Hill Press Facebook page or the blog on June 14th to see if you’ve won! *This is an eBook giveaway exclusively on Amazon, open to US and UK entries only. It will run from June 3rd through June 13th. The five winners will be randomly selected and announced on June 14th on the facebook page and Notting Hill Press blog. Winners can choose any 5 books from the participating authors - here's the list.